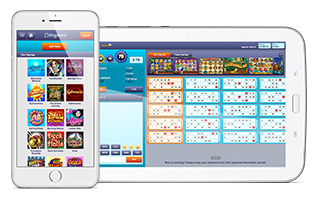 Play bingo from your mobile or tablet. With Bingocams just a click away on your phone or tablet you don't have to miss out on any jackpots or fun when you're not behind your computer. It's easy to use and brings entertainment to wherever you are. Make an account and play on web, phone and tablet. Available for android an IOS. 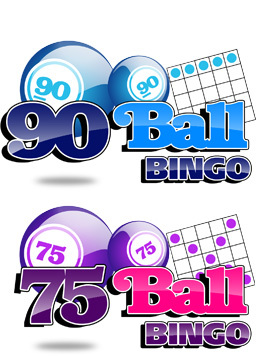 There are 3 standard bingo prizes in our 90 ball rooms, 1 line, 2 line and full house, just like on other sites. However, we have introduced the added excitement of webcams. The use of webcams is of course optional. Find out more. There are two game types in 75 ball bingo, Pattern bingo and 5 Line bingo. With Pattern bingo you are following a pattern given in the room. With 5 line bingo you have 5 time more chance to win. Find out more. When you log in to your Bingocams account and click on ‘Play Bingocams’, a list of our rooms will appear for you to choose. This page will show you all of the details about all of our different rooms to help make your decision about which room to join a little easier. Price per card and players in a room are just a few examples of the information given. If you wish to switch rooms, just click on the ‘bingo rooms’ button on the bottom right of your screen. Please note that this option will only be available if you do not have any tickets in play at the time or for the following game. Once you have entered a bingo room, you can purchase cards for the next round by clicking on the ‘cards’ tab on the left hand side of the page. A new round of bingo will begin once the one minute countdown reaches zero. As the balls appear on the right of your screen, the numbers that match on your cards are automatically marked off. If you complete 1 Line before anyone else, you will win the prize amount corresponding to 1 Line shown on the left of the page. If you complete 2 Lines before anyone else, you will then win the 2 Line prize shown on the left of the page. If you are one of the lucky ones to complete a full card before anyone else does, you win the Full House prize, the amount again being shown on the left hand side. Your cards are also eligible to win two other prizes on offer. You will win the room jackpot if you complete a Full House within 40 balls drawn. You can also win our Bingocams BigBang Jackpot if you complete a Full House within 32 balls! A game ends when any player completes a Full House. The one minute countdown will then begin for the next round. You can purchase cards at Bingocams as long as you have sufficient funds in either your ‘balance’ or ‘bonus’ meter. To purchase cards whilst a game is in progress, click on the ‘cards’ tab on the left hand side of your screen. The number of cards you would like to purchase can be adjusted with the slider. The amount of cards you purchase will then be automatically allocated to you at random. You can also manually select which cards you would like to purchase during the one minute countdown. By clicking on the cards you wish to purchase, you will notice they change colour once selected. You can then click again on the cards to deselect them. The slider will automatically move as you select each card. At Bingocams we have an Autobuy function which allows you to automatically purchase the same amount of tickets each round with the need to select the amount each time. You can activate the Autobuy function by firstly purchasing the amount of tickets and then checking the box marked ‘Auto-buy’ just beneath the slider which allows you to select the number of cards you wish to purchase. You will then be purchasing the same amount of tickets for each round of upcoming bingo games until you uncheck the box, logout, or run out of funds. Every time you win a prize at Bingocams, your avatar will be displayed to the whole room. If you have activated your webcam in one of our jackpot rooms, your live feed will be shown and you can then record a celebration known as a Live Win Moment! All prizes are automatically added to your balance so there’s no need to claim your prize – easy! Please note: You must be present if your webcam is activated. The Autobuy function will not be allowed if your webcam is activated and you are not present. Bingocams does not also allow webcam overlays or images added to the webcam stream in any way. Bingocams can be customised to your preference. Your purchased cards are automatically sorted for you. Cards that are shown most prominently are the cards that are most likely to win or have most numbers marked. All buttons and functions have added text which describes them. When you are comfortable with all of the functions, you have the option to disable this function. You can decline any private chat requests (1-on-1) from other Bingocams players by enabling this option whilst you are in a room. If you would like the cards not to be animated, you can always disable this function at any time. If you experience problems whilst running Bingocams on your laptop or PC, you may want to turn off the card animation option. The screen shown when a Bingocams player wins is automatically closed when this function is enabled. Your webcam stream will not be displayed when you win if you have enabled this function. Other Bingocams players will not be able to view how many status points you have earned if you have disabled this function. You have the option to select either a male or female bingo caller based on your preference, with this function.